It's that time of the month again when payday is approaching so I wanted to share four products for four budgets that I personally love and think you will too. 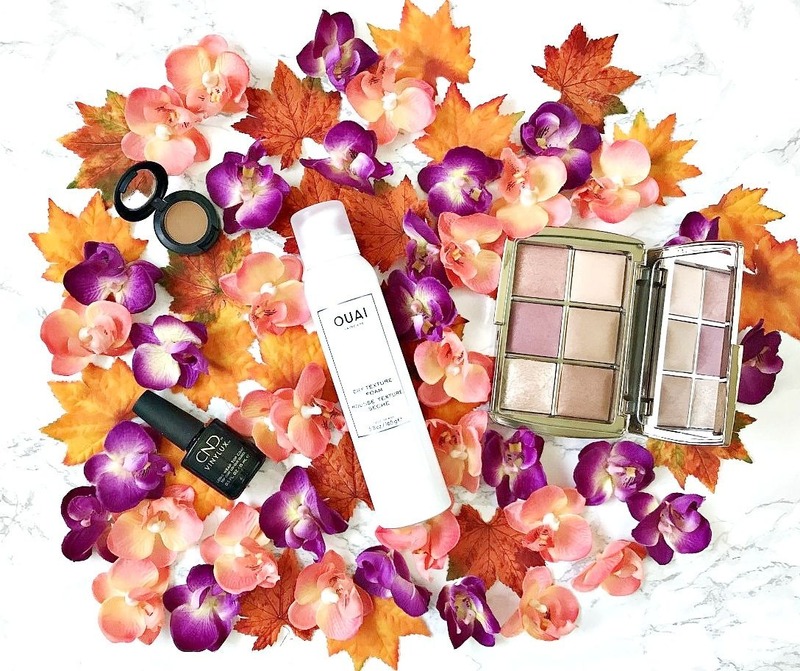 It's nice to treat yourself but you don't have to spend a lot as this post shows with products ranging from under £10 so there should be something for all budgets. CND Long Wear Top Coat: I like to keep my nails chip free because I feel more put together with my nails done - even if I'm having a pj day! This top coat is the best I have tried no matter what nail polish I use it with but paired with a CND Vinylux Nail Polish, I know I'll be chip free for at least a week. This top coat seals my polish, adds a gloss and dries quickly. It's what I always use when going on holiday as I know my polish will stay chip free until I get home! £7.24. MAC Uninterrupted Eyeshadow: I know that this eyeshadow may look a little boring in the pan but it's a shadow that I think everyone should own. It works well as a wash of colour on the lid, as a crease shade and as a transition shade. It's a matte warm camel shade that doesn't have that chalky texture that some MAC matte shadows used to have back in the day. It's very easy to blend and lasts for a good 9/10 hours on the lid. £14. Ouai Dry Texture Foam: This is a pretty unique product because most texturising products tend to be in spray form but this is a foam. I initially wondered how this would work in dry hair as I thought of mousse products I used back in the day on wet hair that sometimes left it feeling sticky. I don't like the feeling of product in my hair but if I didn't use anything, my hair would be a flat and frizzy mess! This foam is applied to dry hair - I use it from my ear down and only a little at a time because you can always add more product but it's impossible to undo too much product. I spray a small amount into my hands and rub my palms together before working it into my lengths to create some texture - it feels completely weightless, which I love and doesn't feel at all sticky. I personally love to use it the day after I wash my hair to revive my waves or just add some texture and volume if I'm wearing my hair straight. If you like texture but don't like sprays or the feeling of product in your hair, this is the product for you. £24. Hourglass Ambient Lighting Edit Unlocked: Hourglass know how to do powder products so well - their blush formula is probably my favourite that I've tried and don't get me started on their bronzer! I am a sucker for their Lighting Edits because they contain a combination of powder, blush, bronzer and highlighter and this new version is particularly exciting as all of the shades are new and 5% of the profits are going to the Nonhumans Rights Project. I have a full review of this palette coming soon so I don't want to say too much in this post but, in short, it's stunning! £69. Will you be treating yourself this month? All products are bought by me, unless otherwise stated. The CND top coat and Ouai Dry Texture Foam were kindly sent to me. Opinion is always my own. Affiliate links may be used.